Dogs don’t have a voice so you will never stop hearing mine. 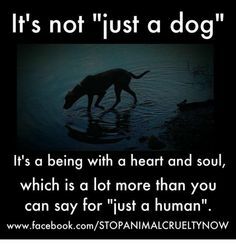 Dog lovers and Dog advocate saying / quote. With a black paw print. Growing awareness to Help end dog abuse. Dogs don’t have a voice, so we have to speak for them. Fully customizable. Choose a dark or light shirt. Available on T-Shirts, Activewear, Tank Tops, Hoodies, Maternity, Dresses, Jerseys, Sweatshirts, Polos and more. Available for Men,Women and Children.